In a partnership “One Festival, Two Countries,” the Eugene O’Neill Foundation, Tao House, and the O’Neill Ancestral Trust presents the 19th Annual Eugene O’Neill Festival in Danville throughout September and the inaugural Eugene O’Neill International Festival of Theatre in New Ross, Ireland, October 11–14. 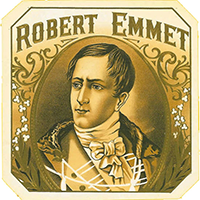 Join the United Irish Societies of San Francisco on the weekend of September 15-16, 2018 in honoring the Irish Patriot, Robert Emmet. Ruan O’Donnell, noted Irish historian and author of Robert Emmet and the Rising of 1803, will share with us his unique insights on Robert Emmet at his presentation at the UICC. He will be joined by local musicians, Vince Keehan, Cormac Gannon, and Kenny Somerville. One of four statues created by Jerome Connor in 1916, the figure of Robert Emmet stands outside the California Academy of Sciences building overlooking the Band Concourse in the Golden Gate Park. Donated to the Park by James D. Phelan, San Francisco mayor and son of Irish immigrants, the statue was unveiled by Eamon De Valera in July of 1919 while he was on a fundraising tour of the United States. 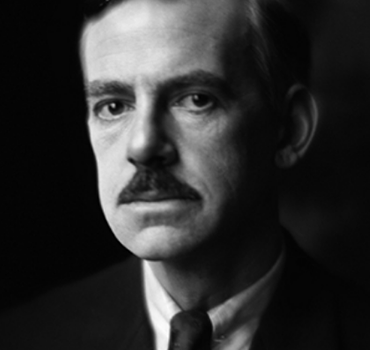 Emmet served as an inspiration to the Irish republicans in the years leading up to 1916 uprising. Each year the United Irish Societies of San Francisco (UIS) lays a wreath at the foot of Robert Emmet’s statue in Golden Gate Park commemorating his struggle for Irish independence and for the civil rights of disenfranchised Irish Catholics. The UIS remembers his heroism with Irish music, dance, and a recitation of his memorable Speech from Dock, which he delivered at his trial on the eve of his execution. The public is invited to attend. The Irish Literary & Historical Society hosts monthly speaker events the last Sunday of each month – September through April – featuring the best in literary and historical speakers and presentations. Events are held at the Irish Cultural Center. For information on upcoming program, visit www.ilhssf.org. 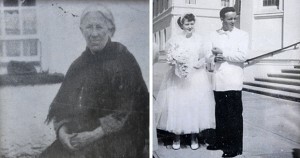 Irish-American Crossroads honors life histories in the Irish Oral History Archive of the San Francisco Bay Area, a project featuring generations of Irish immigrants and children of immigrants to the Bay Area. 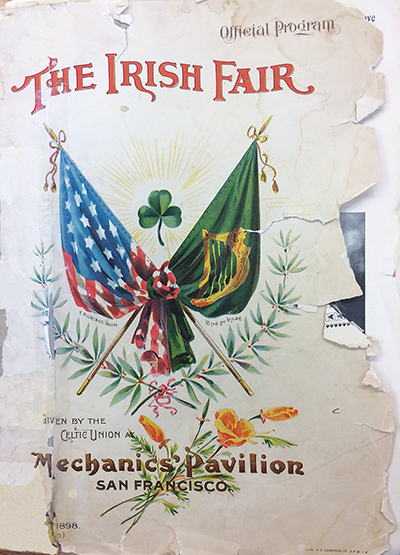 About the Archive: Irish-American Crossroads is producing a comprehensive archive of the life stories of the Irish in the San Francisco Bay Area, representative of all generations of heritage. Dedicated to capturing the experience and contributions of men and women who emigrated from Ireland and settled in the San Francisco Bay Area, and their Irish-American contemporaries, the archive is an important collection of recordings of life stories and personal histories. Note: The current phase of interviews concentrating on Irish-born immigrants who arrived in the Bay Area up to the 1960s, and Irish Americans whose families emigrated to the Bay Area during earlier times, is wrapping up this year and giving way to the 1980s generation. Stories of those who arrived in the 1970s, 1980s and 1990s are now encouraged and welcomed. Find out more about Irish American Crossroads’ annual festival and the Irish Oral History Archive. If you are interested in participating in this project, please email Hillary Flynn. Learn about Irish-American Crossroads and Elizabeth Creely’s popular Walking the Rising walking tour. On Sunday, April 24th, 1916, seven Irishmen declared Ireland to be an independent state, free from centuries of British rule. Two Irishmen, Daniel Harnedy and Larry De Lacey brought that struggle to the streets of the Mission district and worked tirelessly to secure Ireland’s freedom from centuries of British rule. 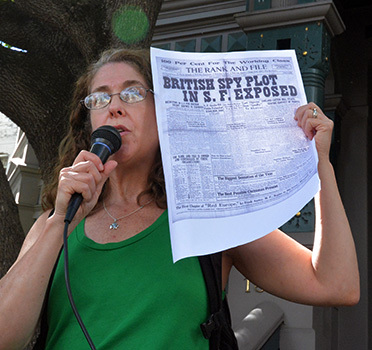 Elizabeth’s walk uncovers the Mission District’s revolutionary past when freedom in Ireland was envisioned in Irish-Americans homes, meeting halls, churches and places of business from Mission street to 24th street. The walking distance is about 2 miles. 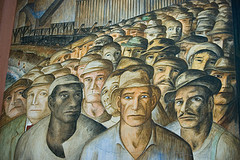 Corkonian Peter O’Driscoll joined the San Francisco City Guides team several years ago, and conducts Irish Labor History tours of the waterfront as well as leading a tour at Coit Tower where famous murals – some controversial – created by 25 of California’s leading artists of the 1930s reflect scenes of the Great Depression, landscapes, farm workers, industries, a stylish soiree, and vibrant city life. 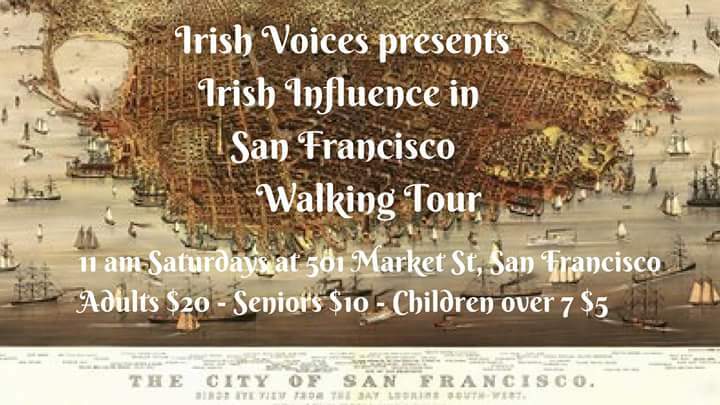 Coit tours are conducted Wednesdays at 11am and future Irish Labor History tour information is available on request via email. More on City Guides tours. Bay Area History – Did You Know?